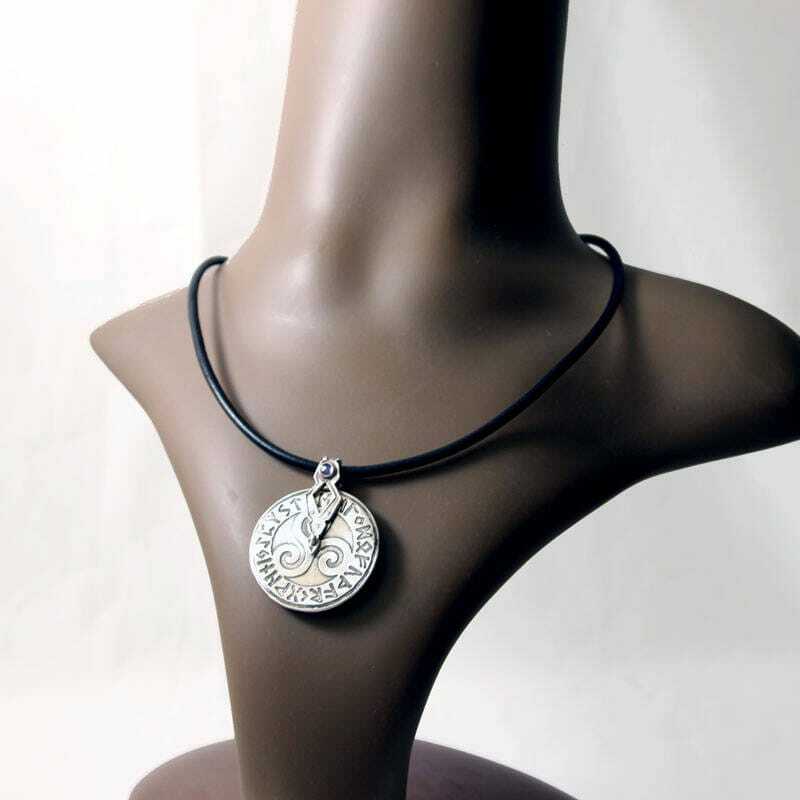 Genuine leather necklace with sterling silver lobster clasp and end caps. 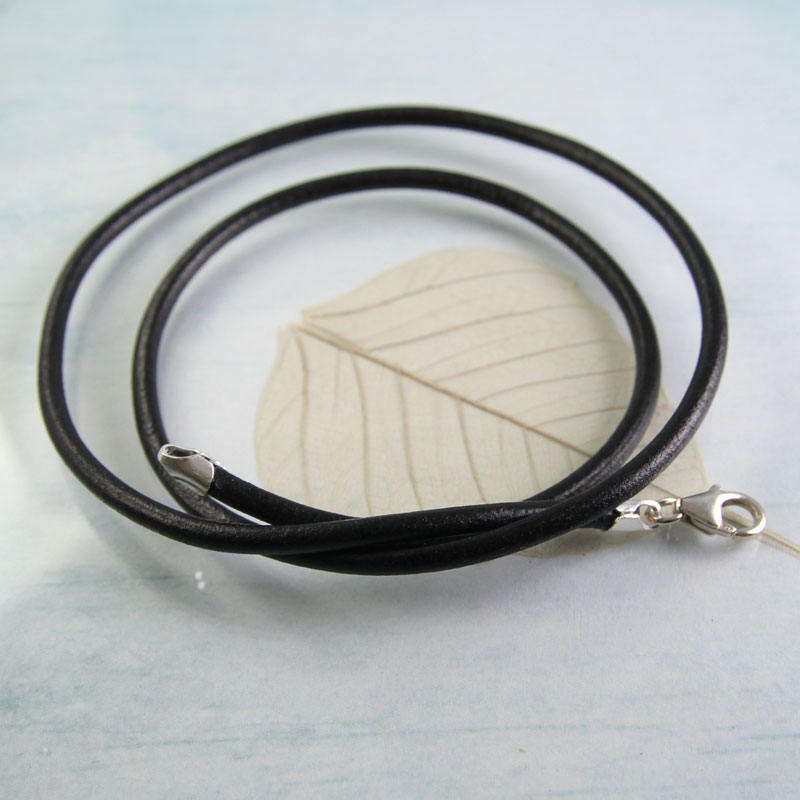 This is for anyone buying a pendant separately and then wants to choose a specific length and color leather cord to go with it. 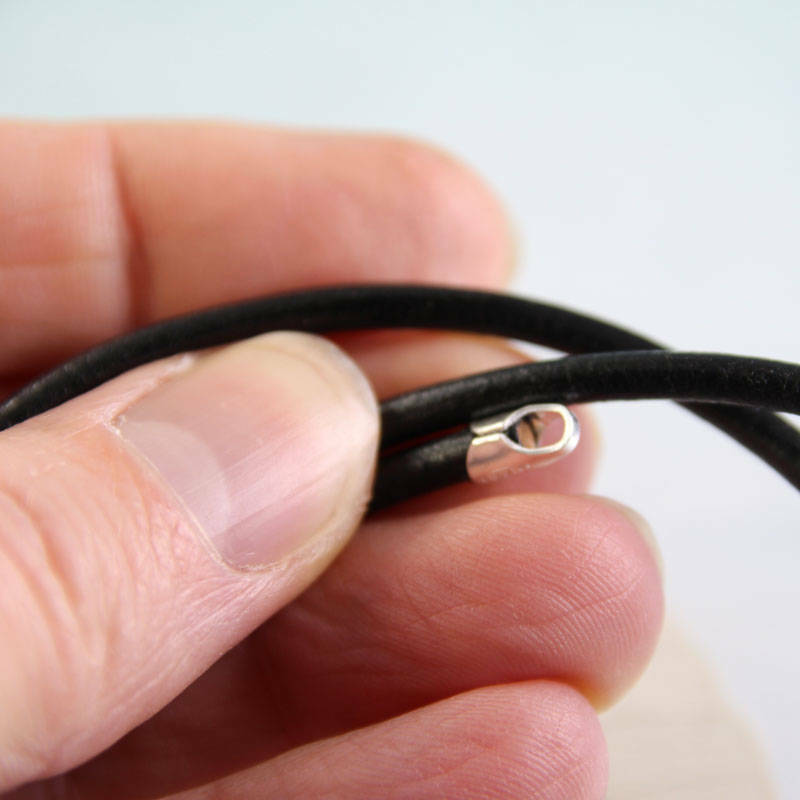 The end caps are fairly narrow to allow pendants to slip on easily. 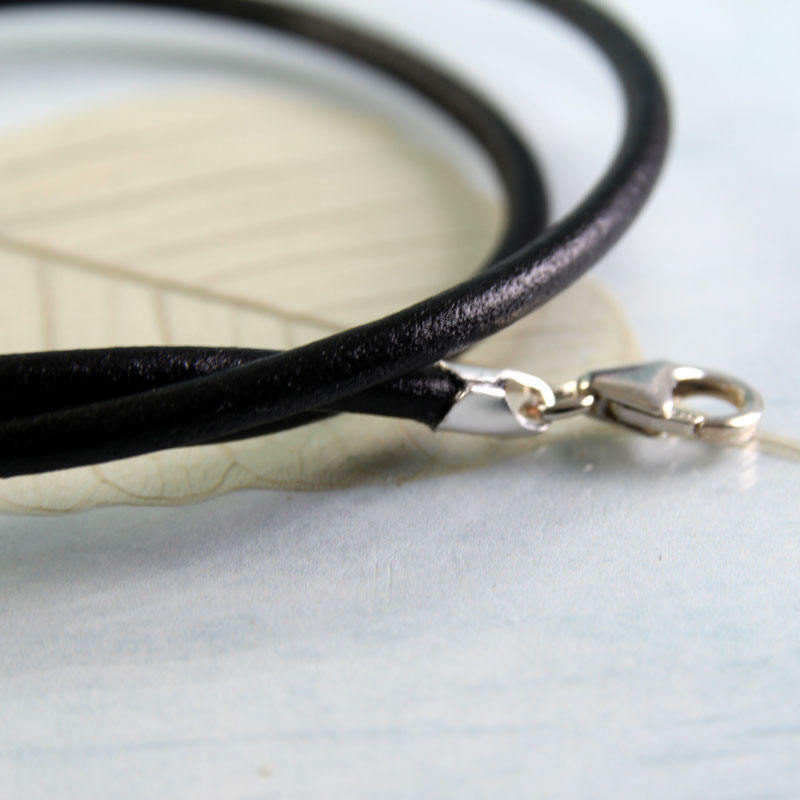 The leather is 3 mm thick, dyed and shiny black. 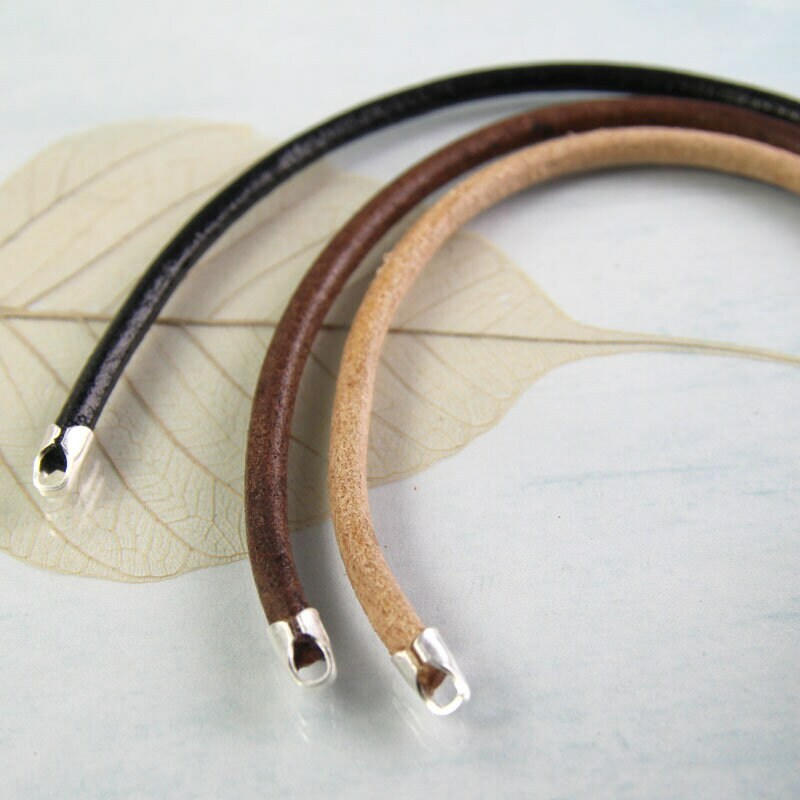 Comes in a variety of lengths. For help choosing length please see the last picture. 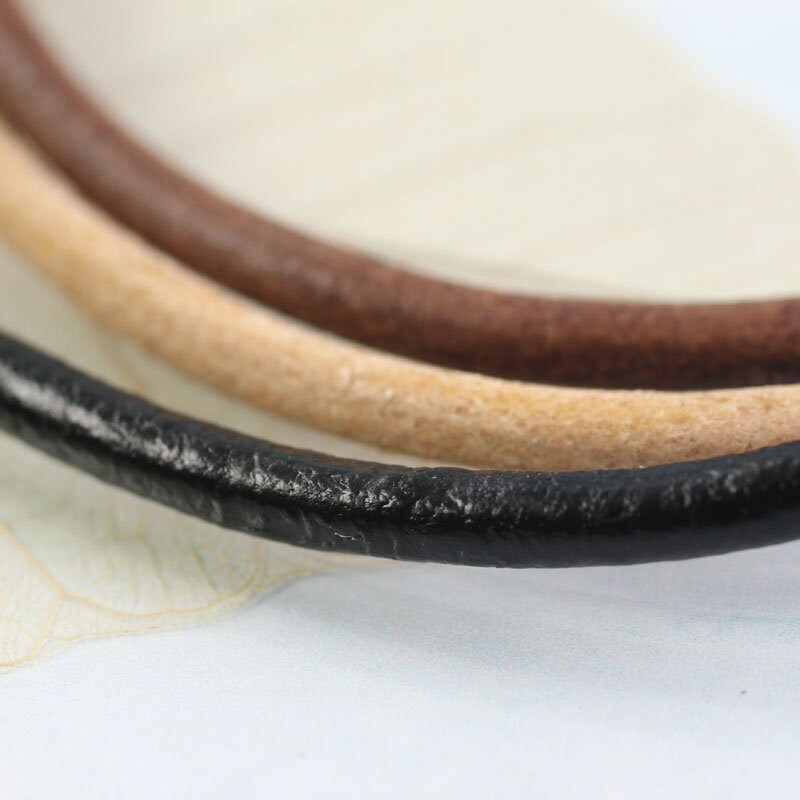 The close ups can be misleading and make the leather look thicker than it is. Take a look at the mannequin picture to get a better idea of the thickness. 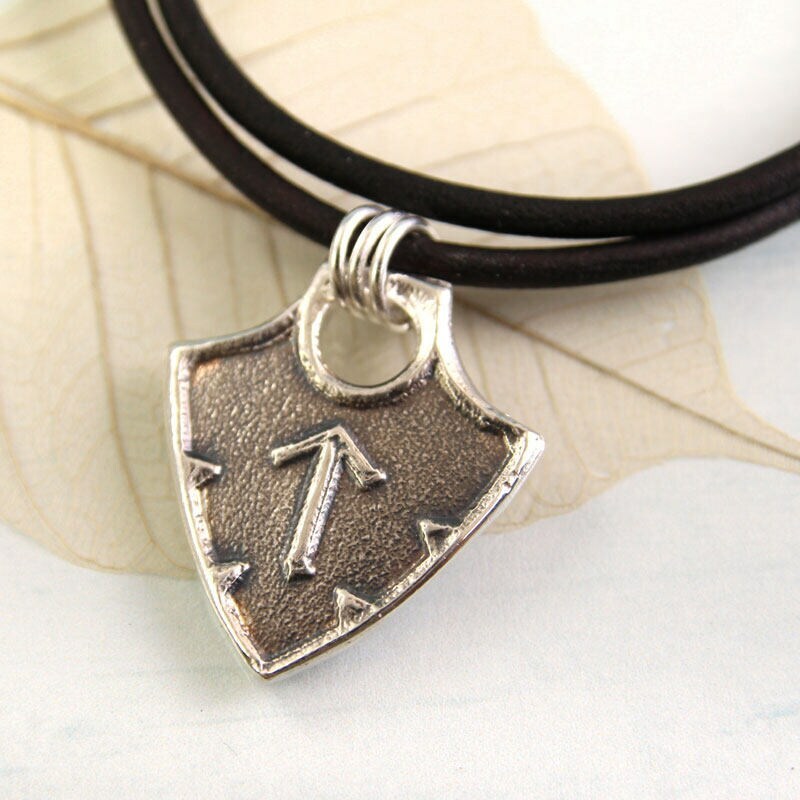 The length indicated is including the clasp. 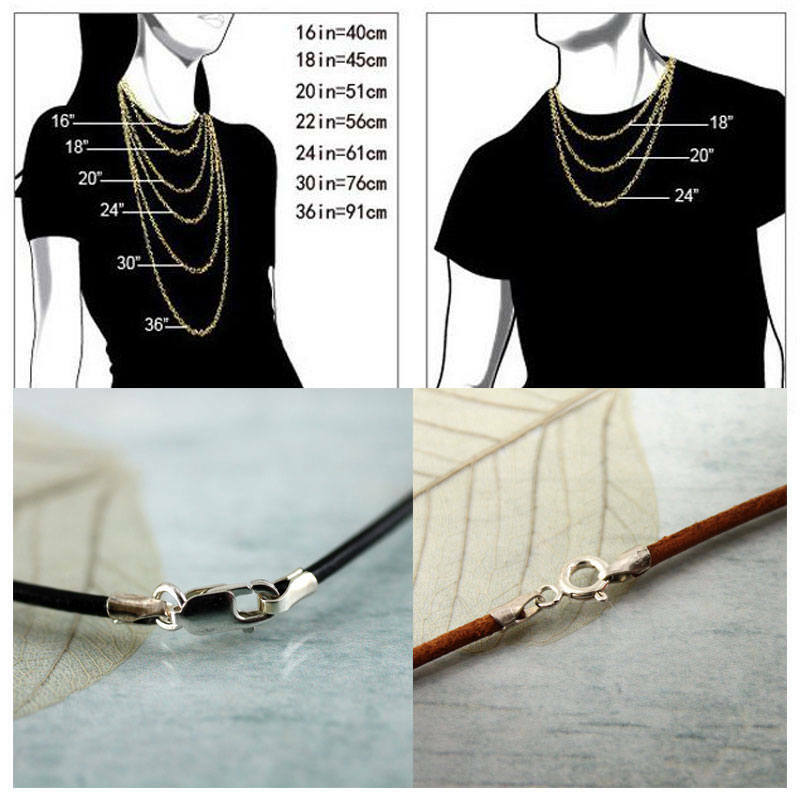 If you need a different length than the options in the drop down, just let me know in the note to seller. 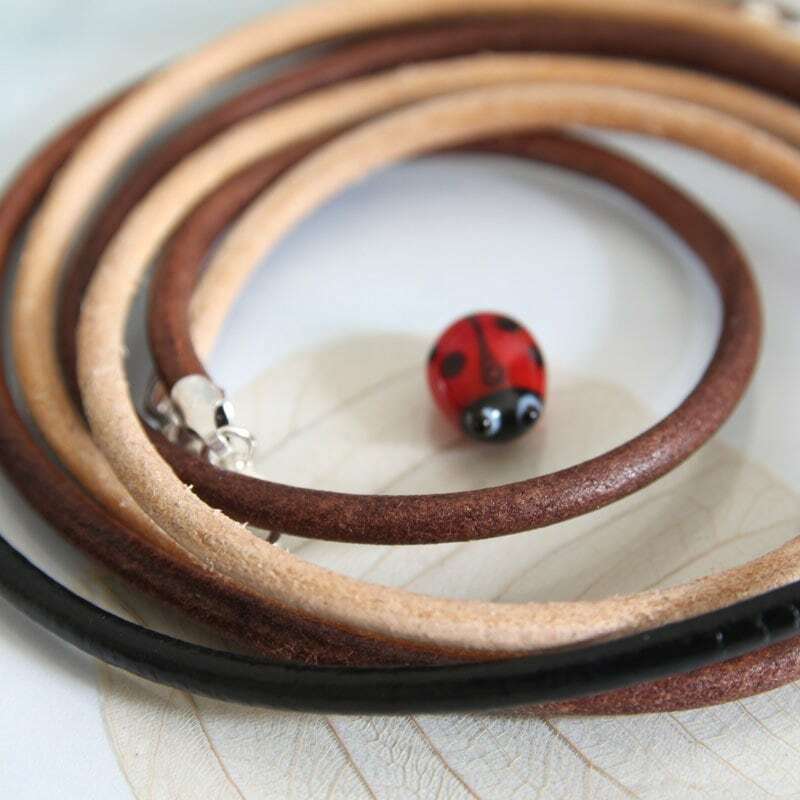 Brilliant leather necklace! 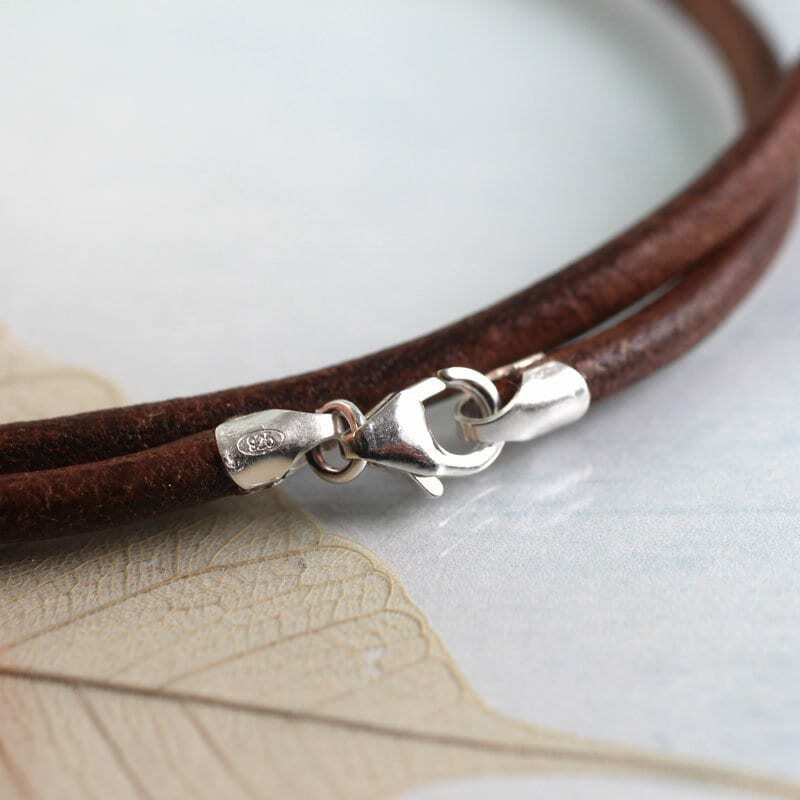 So nice to find one with Sterling silver clasps. Thank you so much!